billcammack :re bacn, originally uploaded by Bill Cammack. love the new term and the dropping of letters. 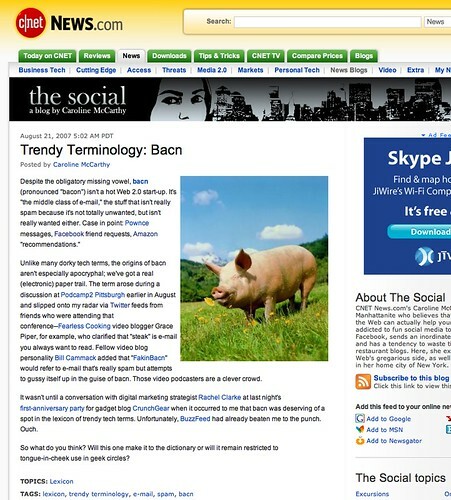 now i can blame my poor typing skills on my new web 2.0 vocabulary.